Deputy Prime Minister, Charles Abel, was received by Morobe Governor, Ginson Saonu, yesterday as he arrived in Lae for a three-day visit. The DPM and Governor were joined by the Members for Lae Open, John Rosso, and Finschhafen Open, Rainbow Paita, as they spent the day visiting a number of significant private sector investments. The installation of the new fully automated bottling line comes on top of an estimated K120 million investment in establishing a world class supply chain in recent years. The company expects to invest a similar amount over the next few years. The delegation also visited the K115 million upgrade to the Lae Biscuits factory and Prima Smallgoods as further examples of local industries making significant investments largely due to tariff adjustments and other reform measures. 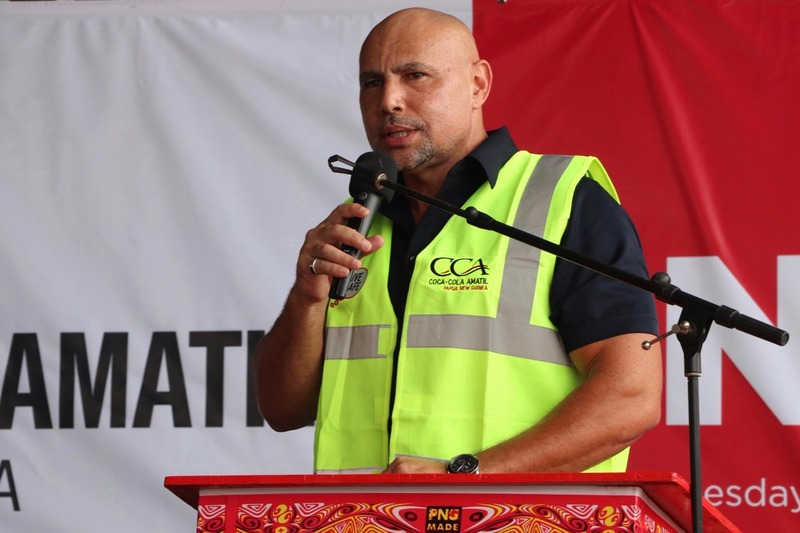 With more investments in the pipeline, including the Goodman Fielder K500 million flour mill, the manufacturing sector in Lae is showing how government and industry can work together to broaden and grow the economy. The day ended with a round table discussion with the Lae Chamber of Commerce. “This government will continue to listen to and work with the private sector as the principal drivers of our economy. We are mindful of lingering constraints, especially in terms of power and transport infrastructure, and our government is committed to resolving them,” said Abel. The DPM’s Lae visit continues today with an aerial inspection of key infrastructure projects, including the Wafi-Golpu site, and meetings with key stakeholders.